Psalms 119:103 How sweet are thy words unto my taste! 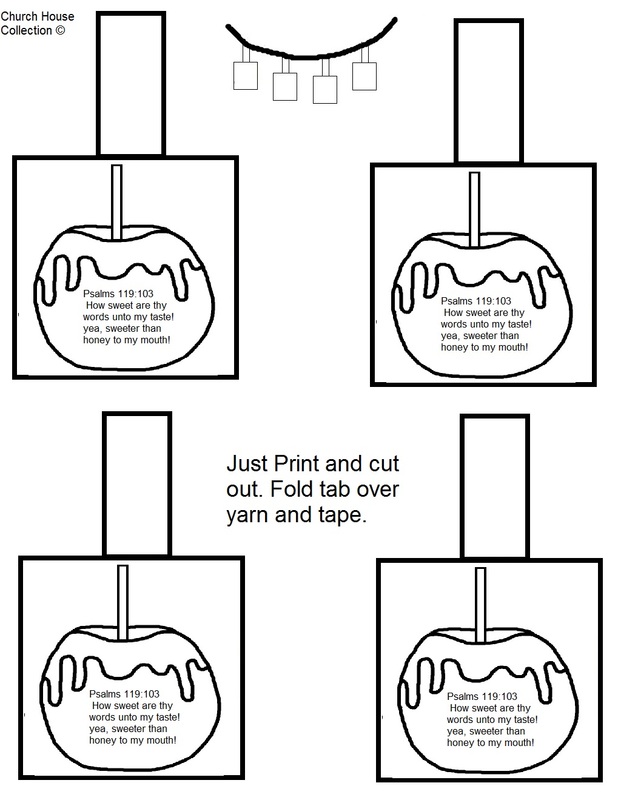 This is a easy craft for kids to do. Just print the template out and have the kids color the pictures first and then have the child cut all four pictures out. Have them cut off a piece of yarn that will be long enough to tie around their neck. Have them fold the tab of the picture over the yarn and tape in the back. Add all over picture to the yarn. This has a scripture on the front of the apple from Psalms 119:103. 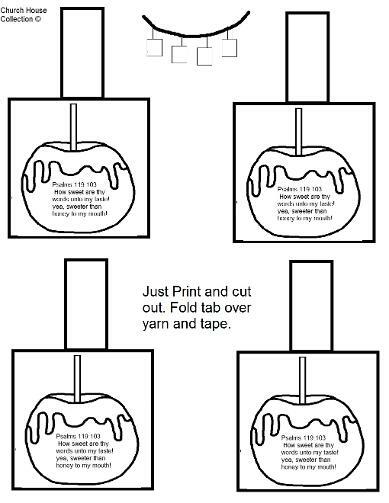 Use this to go with our Candy Apple Lesson.